Providing the Minneapolis area with professional, fast and eco-friendly junk removal services. Ed Fogarty is the owner of Junk King Minneapolis. Ed coached wrestling for many years before he decided to help his community wrestle with eco-friendly junk removal. Ed was sold on Junk King’s philosophy of recycling or donating 60% of their haul. 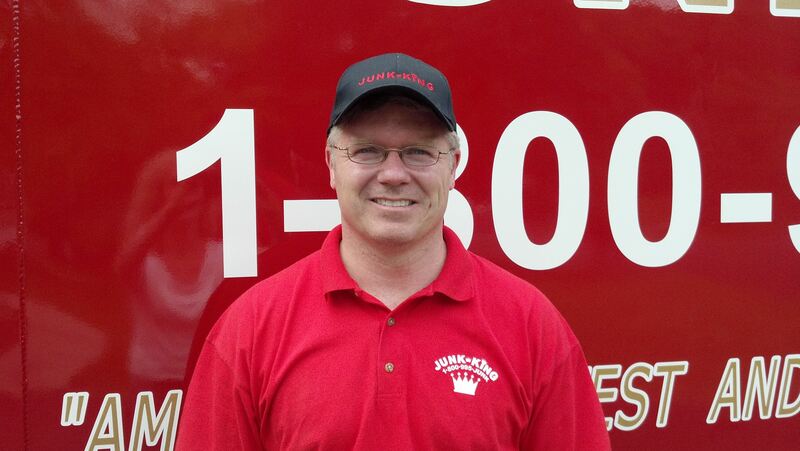 The green philosophy of Junk King made the decision to become a business owner so much easier. Ed believes that in joining Junk King he can help his community and help preserve the environment as well. “Junk King has been providing green junk removal services since it was established in 2005 in Silicon Valley, California. The company has expanded to 50 branches in Canada and the US. Junk King spearheaded green hauling and junk removal. The company guarantees fast, efficient, full, and eco-friendly solutions to junk removal. Families and business owners have relied on Junk King to help them haul their junk and de-clutter their offices or homes. You can be one of the many satisfied customers of Junk King! Dial 1-888-888-5865 (JUNK) today or visit www.junk-king.com to get an upfront price quotation and excellent customer service. At Junk King, we recycle or donate up to 60% of the junk we haul because we believe in helping the community and protecting the environment. If you want to find an environmentally-friendly way to get rid of your junk, we are the company to call! Minnesota law requires TV’s/monitors to be recycled through licensed electronic recyclers. Junk King charges an additional recycling fee of $25 or $50, based on size, to cover this cost. April 22, 2019 by D.T. It was so easy to book the time online! The service was great and the price was very fair! Very quick and got job done right. Only problem is I didn't receive my change or receipt. when I paid vbuf the guys did a really good job. April 20, 2019 by A.B. Polite, caring employees. Good service! Fast and efficient, did a great job.